Taking inspiration from the visual nature of the mono-prints and researching the work of artist Simon Callery, I worked with a piece of large canvas within the corner space. Simon Callery makes work by laying canvas over archaeological dig land, draws and cuts around the shapes of rocks and indents and markings found underneath, repeats this process and hangs the resulting fabric pieces over each other vertically, making a kind of palimpsest where you can see the layers of canvas from viewing the work from the side but also you can see deeper layers from looking face on at the canvas by looking through the holes cut out of it (see work of Callery below). I did a very similar process to Callery by working on the land in that way, mapping its texture on the canvas with chalk and cut away at the shapes I wanted to. I also collected some rusty pieces of metal from the site and using commercial descaler I tried to do some rust staining however I am not sure I did the process correctly as the rust from the metal didn’t bleed very well but I think I’ll try it again. I also didn’t do multiple layers of the onsite landscape mapping like Callery does but it does resemble the mono-prints quite a lot which wasn’t expected or intended. Following the making of the sheet map of the corner space, I rediscovered my interest in the dough making I was doing right at the beginning. However I was thinking a lot about the idea of barriers and their presence in order to divide and segrate the landscape and people. Barriers whether physical or metaphoric are like in between spaces in themselves as they are in neither of the two or more places they are dividing. The barrier itself is no-mans-land making it everyone’s? Artist Trinh T. Minh-ha works with the notion of the barrier a lot in her work and I have been doing a lot of research into her thoughts as part of my dissertation. The video below is a very inspirational interview that helped to clarify and inspire more of my thinking about the wall and barrier and spaces between. Watching this video was one of those moments where I felt really good about the work I was making and positive to listen to someone of such intelligence and well respected in the art and literature world, speak about similar subjects and approaches. Minh-ha see’s Twilight as an in-between space, as well as walls, passages, the act of walking and explains it so beautifully! I love her references to in between places being places of passage from one place to another, and being places of transformation as you go from one state of being to the next. I especially like the relation between Jacob’s Ladder as a place of physical passage and her ideas about walking being a spiritual act of transformation and how the act of walking allows one to perceive the world around you differently, re-evaluate and contemplate. The passageway like Jacob’s Ladder being an interval in the lay out of Falmouth and a place where people walk up steps (steps having their own ancient symbolism), transforming in the void of unimportance that passageways carry. It is a “proximity that keeps the possibilities open, keeps the interval alive” Minh-ha explains. She also talks of border lines and barriers in relation to world politics and their limiting characteristics. The addition of walls and barriers restricting flow and growth also the interesting concept of going over or under a wall or barrier. I’ve been thinking a lot about this going over or between things so decided to start making ladders from dough. The ladder is an ancient universal tool that comes in many shapes and sizes and from many different materials for functional reasons. All over the world the ladder can’t really be improved and is still used everyday with the fundamental use of getting from one place to another. Ladders are also interesting as they are objects that can be transported and carried and have no fixed location. They have no fixed home and aren’t tied to a specific person or identity. They can be carried long distances but their function is always the same. Ladders are things we take for granted. I like the concept that the ladder as an object can be transported anywhere and will always be recognised as these characteristics are important to my work – the ladder has no home and is always in an in-between and indefinite state plus pretty much all humans will recognise its function. Instinctively knowing to use it to ascend or descend or cross between. I placed the ladders up against the wall to the Corner Space, I didn’t leave them there but I want to make more and do this. Leaving them leading up the wall may cause people to look over it, think about going over something, over the barrier between the nothing space and their place of passage, defying the division. They might ignore them and not think at all and continue in their passing down the path, they might even steal one. All these potentials and more have their own connotations and could be read in many ways but in a public art piece like this, where art is in the public realm, there is no knowing what will happen to it or who will see it and what they will think. It feels cohesive to put art in public spaces considering my strong links to the overlapping of culture and overall importance of people. Obviously the ladders are made from dough as well which may intrigue people, remind them of a moment from their childhood or spark an association to something. As I’ve mentioned before, bread is also universal and ancient, so as a sculptural material it automatically brings common understanding and knowledge together creating an overlapping in itself due to the overlapping of people’s recognition within the objects. I also got my bisque fired step mold ceramics back. The lighter brown shapes are negatives of the indented part of the steps on Jacob’s Ladder and the darker shapes are positives from the lip of steps on Jacob’s Ladder. They fit together nicely. Above is just one way I could display them using the cast of the Jacob’s Ladder step. I have swapped the placement of the molds. The ones on the top ridge were taken from the indented part of the step but the ones on the floor at the bottom of the step were taken from the step lip. They are interesting little objects as you can tell they have been pressed into a space from one side but the other just has the organic markings and prints from my hand. They are objects that present the connection my hand had with the steps. In light of the concepts and ideas I talked about in my last entry. This week I did a lot of making. I made casts on Jacob’s Ladder by pushing terracotta clay into the L-shape where one step connects to the next one and others were made by folding clay around the edge of the steps. I wasn’t sure what to do with these but I ended up taking the more interesting shapes to Brick Works in Penryn to get bisk fired. The more interesting shapes were the ones taken from the inside L-shape over the ones from the edge of the step. Unfortunately I didn’t take any pictures of the shapes themselves because I pretty much took them straight to Brick Works. It will be a couple of weeks before I get them back but it is quite nice to take things somewhere to be processed, it’s an out of sight, out of mind kind of thing, giving you space to move onto other things and have a fresh perspective of them when you get them back. I am really looking forward to seeing them as solid objects that could maybe be fitted back into their places on Jacob’s Ladder; not sure yet. I also delved into some mono-printing. I thought the mono-print aesthetic looks quite similar to archaeological drawing. Sketchy but inky. The nature of mono-prints always seem to look like they are capturing something fleeting, unrefined and rustic so I thought I’d try to depict some of the shapes from my pub table top rubbings using the process. The images above are just a few of the many mono-prints I did. Some of the mono-prints were done directly onto enlarged photocopies of photos I’d taken at the corner spot to try and combine the two narratives in my work. The lack of human presence of the corner spot over layed with the traces of constant presence found in pub table tops. The pub tabletop traces over laying each other, shapes of the corner spot taken from the photos overlaying the traces plus other combinations. The ones above are my favourite ones, some didn’t work so well, too much ink or the layout of the images came out wrong but it was nice to visualise the two parallel ideas in my work together and on one flat piece of paper. I think they did work well, and I really like their rough quality. The shapes almost look paganistic or religious in some instances. Spell like and symbolic but the local people are to blame for these almost mystical symbols taken from the tables – spells people don’t even know they are casting as they absentmindedly scratch away at the paint or calve doodles. I did mono-prints over a couple of days, in and out of writing dissertation as that is demanding quite a lot of time at the moment, and now the prints like the walls of my studio space. So I am semi surrounded by the traces of pub goers as I attempt to make work inspired by their doings. There is quite a strange and interesting layering to all the elements I am dealing with and I am still trying to work out how they fit together whether or not they fit together at all. Maybe they never will ‘fit together’ and will just co-exist and that’s how they are meant to be in the world just like people are when they live in and around each other – we don’t necessarily interact or have much to do with our neighbours a lot of the time but cover the same ground almost every day – so close to each other in the comfort of our houses but separated by walls – comes down to barriers again. Barriers and objects or entities that separate and segregate people from being together in the same place at once however leaving traces on the common ground that layer up due to the collaboration of their oblivious creators who come together in acts of doing so. Neighbours coming together from different backgrounds, opinions and homes to obliviously create traces and things in spaces that they all occupy in fleeting moments. I have been thinking a lot about space this week. What a space has to say and what it stands for and communicates in its relation to people and the landscape. In light of this I decided to photograph the space next to Jacob’s Ladder initially from across the valley like last week but this week I shot on a 35mm 1970’s Praktica film camera. I then photographed the space from behind the wall looking into it and the surrounding area, then I jumped the wall so that I actually went into the space and corner itself. Finally from that spot that I have been looking at for a while from the other side of the valley, I photographed in the opposite direction back at the place I’d initially seen it from. It was like a journey of breaking through layers and physical and imaginary barriers to finally reach a destination. Visualising these barriers or layers similarly to how I visualised ripples and layers in the past; layers that circle a specific point. I experienced stages of finally getting to the unnoticed, space in between and once I got there I wasn’t too sure what to do. I’d made the journey and finally made it into the space I’d been seeing for weeks, finally bridged the gap between a distant place or land of wonder to actually standing within it; quite strange. So I just documented it through photography. All these concepts and thoughts seem to keep leading loosely to elements of migration. This coming to a new place imagined and seen from a distance, breaching barriers as the journey goes on and not quite knowing what to do once you are somewhere you’ve potentially imagined for a while. Another barrier present in my work was the presence of me sitting on the step on Jacob’s Ladder two weeks ago. I obstructed the flow of people on the steps and they unquestionably moved around me on that public place of passing. Like avoiding obstacles on a pathway. The place of passage offering obstacles or barriers that obstruct and change the flow of people passing through. I’m thinking maybe I could work with this concept and implement not me as a person but something else onto the place of passage that causes people to change their passage or root down the steps or on the pathway etc. I could insert my plaster cast copy of one of the steps onto Jacob’s Ladder and somehow document it’s effects of the public as they pass. The most recent Frieze Magazine published this month (October 2018) is centred around decolonization and the migrant and refugee situation across the world. I have read most of the content and it has birthed more links between my work and the potential of it relating to these issues. Although I initially started off working with ideas on culture and the potential of it being an intangible archaeological palimpsest, my work has continued on these lines but has started touching on ideas on the displacement of culture and people, movement and overlapping of people over time and space. Which is why the migrant crisis is becoming increasingly relevant but my ideas over all rooted in the idea of the overlapping of people in one place in general. Last year, I watched ‘Human Flow’ a documentary by Ai Wei Wei which was an epic documentary film observing and exposing the reality of the migrant and refugee crisis aimed at revealing its horrors and truth to the West. It was incredible but unimposing, an observational, calm undramatic exposure to the situation that I believe avoided fetishisation of the crisis and any overly dramatic cinematography and music to enforce ‘wow factors’ so often found in Western cinema and film. It let the content speak for itself. With the reading, thinking and watching in mind, it made me see the area of Jacob’s Ladder and the empty space next to it as a kind of miniscule narrative discovered in my direct surroundings that embodies similar characteristics as the wider, hyperobject of the migrant crisis or colonialism. I am finding larger important narratives in the smaller local physical and social landscape to understand and communicate the bigger picture is a respectable way to inquire. From what I can gather as a white person never having been to a refugee camp, they are portrayed as a kind of place between places. Like a place of passage between A and B just like Jacob’s Ladder is. A place of refuge or temporal settlement between two potentials just like the pub is. However, I am aware of the problematics of associating a refugee camp with a British pub, two extremely high contrasting locations, environments and histories. It is interesting to consider the similarities with the palimpsest of culture in terms of refugee camps and places of passage. Places where people are brought together and create context, history and impressions on each other, time, space, objects and the landscape. Places of layers and a growing history and past. 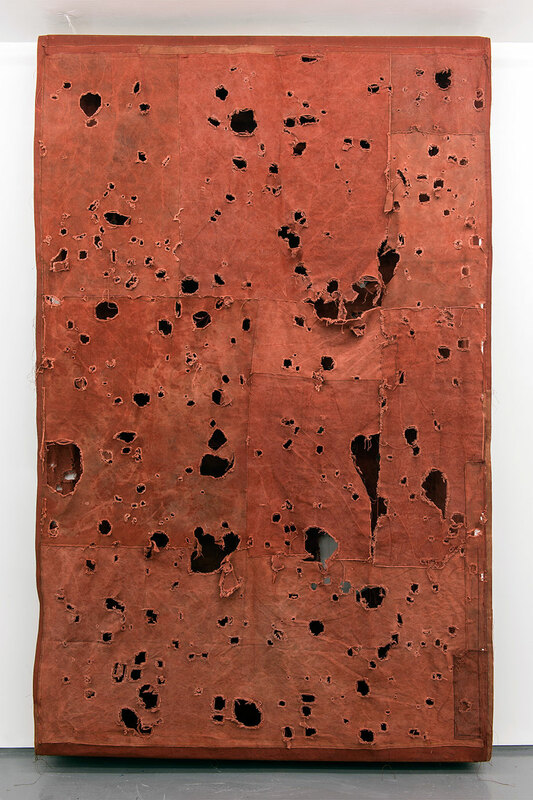 In a Frieze article called ‘Impermanent Inheritance’ by Suzanne Harris-Brandts, she suggests that “the camp is an artefact of the 20th Century” which does challenge the contemporary notion of the artefact and its parameters however does so under colonial circumstances once again. The West getting to decide the importance and unimportance of things and under it’s righteous identification system despite the impressive challenge of the notion. But it also caught my eye due to its use of its archaeological terminology. Describing a social and physical landscape as an artefact follows suit with being able to describe culture under the archaeological term of palimpsest; it is just another example of challenging archaeological terminology. This week I have essentially learnt that my work aims to understand the distant by exploring the direct. Discovering local metaphorical narratives that help to understand the stories and lives of people outside of my own. In terms of practical ventures I’ve had this week, they are still in development of previous work and ideas. I have begun moulding the shapes discovered and unearthed from my pub table top rubbings from clay, giving them a physicality and presence within a 3D context to see how they differ and change. So far I have started to view them as creatures and characters birthed from the palimpsest, palimpsest being the mother that bares stories, history and narratives through the marks and traces she allows in her dimensional space brought to life through the fingertips and presence of people. A space between people and the physical world around them, the palimpsestal dimension giving life to history and time through physical traces. The space between the person and their surroundings. For some reason I have the desire to cast the shapes in a metal of some sort for a heavier more tactile, definite presence in reality rather than in the illusive, conceptual world I talked about above. I also did some collages in attempt to visually combine archaeology with culture and landscape with a slightly scientific overall feel however I found it difficult to visually link archaeological drawings into images of people and landscape to make it aesthetically pleasing.